Call in on a Tuesday each month for your musical check up with the Harp Surgery’s very own Good Doctor, Richard Taylor. It all takes place at The Brunswick in Hove, Beginners 6.00-6.30pm / Intermediates 7.30-9.00pm. For further details and bookings just expand this post or click the Workshops icon across the page.. When students come to the Harp Surgery for tuition, we begin by setting clear goals. This process starts with a short diagnostic session to identify gaps in a student’s technical skills. It also involves a short playback, so that we can see and hear a student’s level of competency. This is done not as a cold critique of the student’s ability, but to establish exactly where the Harp Surgery can provide practical support and encouragement. In other words, we’re on your side every step of the way. We can then consider particular pieces of music, styles and players we’d like to investigate. This gives us a healthy balance between exercises, theory and technique learning (foundation stuff), and repertoire (song learning and fun stuff). For complete Beginners of course, we’re working from a blank sheet and we can build solid foundations from the outset. For others, we will need to address any bad habits, while exploring fresh territory to complete our Beginners Learning Path. Once we have captured our regular bending skills, thereby adding twelve new notes to our palette, the Beginners Learning Path is complete, and we can embark on our Intermediate Learning Path. In 2016, John Cook attended Hohner’s prestigious harmonica accreditation training programme at their headquarters in Trossingen, Germany. He was subsequently appointed a member of Hohner’s worldwide accredited Service team. Today, John manages and operates an excellent harmonica repair and modification service from his base at East Coast Music in Hornchurch, UK. In a very short space of time, John has become the go-to repair and modification engineer for Hohner harmonica owners, not only in the UK, but internationally. 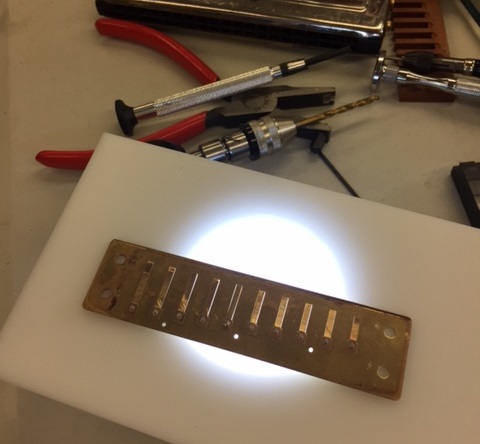 Periodically, John runs small harmonica repair workshops, and this autumn we joined him alongside a small band of harmonica repair enthusiasts. 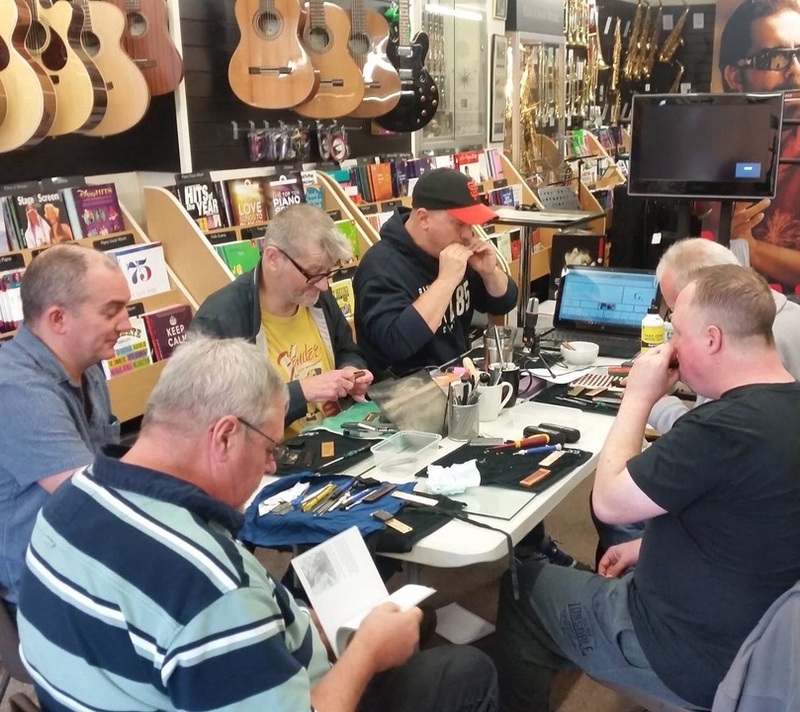 Covering a wide range of essential skills, from blueprinting new harmonicas out of the box, to standard maintenance procedures and fixes, the day was fully hands-on and well worth the effort. We dismantled harps, we cleaned harps, we tuned reeds, we gapped reeds, we replaced reeds, we embossed slots, we chatted and we laughed. We even took our first steps in harmonica customisation; by which time we’d gathered a wealth of top tips and handy tools. Best of all, we came away knowing how to approach and solve a range of problems that lurk beneath the average diatonic cover plate. If you need help restoring or repairing a broken harmonica, you’ll find a link to John’s website below. But perhaps you’d like to meet John yourself and learn some helpful skills like sanding your harmonica comb and draw reed plate for greater air tightness, correctly gapping your reeds for improved response and, of course, tuning your own instrument confidently. 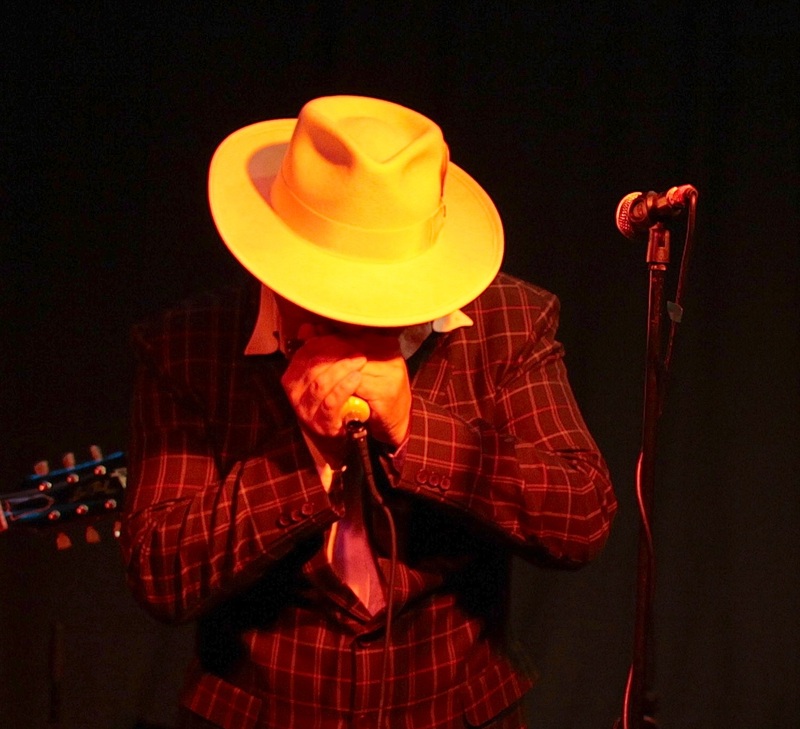 In which case, get along to the UK’s annual National Harmonica Festival, Harpin’ By The Sea harmonica festival, or to the Blues Weekend in Bucks, where John leads some wonderful drop-in sessions for diatonic and for chromatic players. 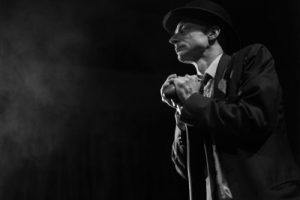 Alternatively, check out John’s website and book yourself in for a super Sunday of indulgence in the dark art of harmonica repairs and maintenance. You know it makes sense. In a good country, virtues wouldn’t be necessary. Everybody could be quite ordinary. It was a chilly spring morning. Wood smoke whispered from the Harp Surgery chimney. Unshaven, the Doc stood admiring the laburnum, a steaming mug of Ringtons in one hand and a toasted tea cake in the other. He was listening to Rory McLeod’s Farewell Welfare and contemplating the day ahead when there was a knock on the Surgery’s back door. Wiping warm butter from his chin, Doc turned down his Sonos and opened the top gable. ‘Morning saviour! A package for you from the dark side.’ It was Otis the mailman. ‘Really? Where’s that then?’, the Doc murmured blearily. ‘Croydon,’ Otis answered, reaching in for one of Monica’s warm buns. 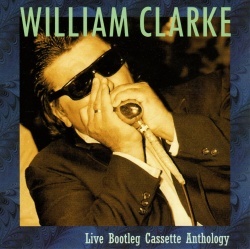 For the past two summers, I have had the great pleasure of leading the beginner’s harmonica workshops at Blues Saturday in High Wycombe (UK). Organised by the utterly wonderful Aron Woodall’s (Big Azza to his mates), Blues Saturday is a great day, and night, out. In 2015, Azza adopted ideas from our annual Harpin’ By The Sea festival, and now produces his own programme for folks closer to the Central Southern UK. It’s a fabulous event, which we highly recommend. This year it takes place just before the May half-term break and you can find out more by clicking the red text in our workshop link to the right of the screen. Back on message. Last year, half way through the day, Azza gathered his attendees for the prize draw. And as he announced the list of sponsors, heads turned involuntarily at the mention of Pinegrove Leather. Was this a secret fun day for harp swingers, as well as slingers? Was there cheap furniture up for grabs? The attendees shuffled their feet and avoided eye contact. We needn’t have worried. Pinegrove is synonymous with top-of-the-range, hand made, leather accoutrements for musicians. 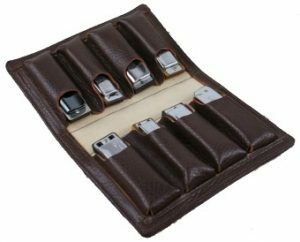 Their portfolio includes shoulder straps and plectrum cases for guitarists, stick holders for drummers, and a host of well-designed bags and pouches for harmonica players. 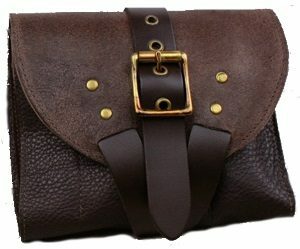 Everything is made in England from high quality leather, which is beautifully hand stitched and expertly finished. Proper craftsmanship, with highly desirable results. I contacted Rod Boyes at Pinegrove’s Yorkshire headquarters in Hebden Bridge for a chat, and his knowledge about the professional needs of harp enthusiasts was immediately apparent. He ran through his range of harmonica carriers, all of which are illustrated on Pinegrove’s website, and we talked about new ideas he’s developing. Pinegrove’s products are now sought after, and being shipped, right around the globe. And we can proudly announce that Pinegrove has also agreed to sponsor this year’s Harpin’ By The Sea festival. The Super-Buskers are coming to the Brighton – are you? 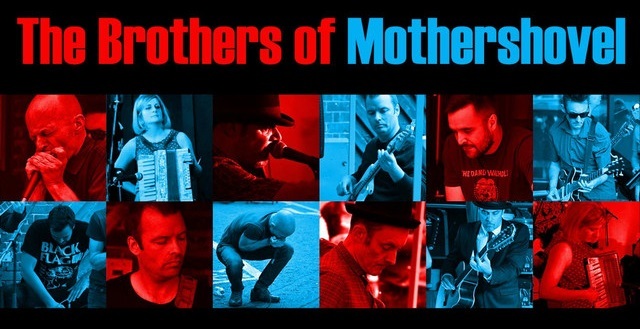 Rory McLeod, Victor Puertas (Suitcase Brothers), and The Brothers of Mothershovel are making their way to Brighton to entertain, educate, challenge and amaze all our guests at HBTS8. Turn up. Dig it. Tell ALL your friends! Tickets are selling fast. Eight years on, HBTS has become a pillar in the annual international harmonica music calendar. Our winter festival and ‘learn to play’ day, takes place at The Brunswick in Hove (UK) and it’s a fabulous day. We also meet the night before for a fun catch up and jam night. You can secure your ticket through The Brunswick website here. You can also visit the HBTS website to preview the fantastic programme of workshops for all abilities, exclusive master class with Rory McLeod, our list of guests artists and instructors, and find answers to all your logistical needs. Welcome to the second instalment of our interview with Mitt Gamon. In this half, Mitt talks about the London Punk scene and his involvement with the Gang of Four, Ruts DC and Ian Dury. We ask him about the rig he uses, his latest album Harmonica Electronica and get a hint of an exciting new project in that’s in the pipeline. 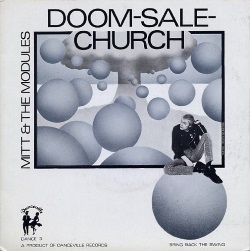 What precipitated your move into the 1970’s/1980’s punk scene? In search of the inner Walter. I am officially a liberated blues harmonica player. I woke up this morning and admitted to myself that I just don’t get Little Walter. I never have. I’ve been denying the fact for years, cowering in the deepest recesses of the blues closet, fearful of public ridicule. But now I’m out. O U T, out. Everyone knows mastery of Little Walter’s diatonic blues dialect is an essential step in any half-decent harmonica apprentice’s development. If you can’t recite Juke note for note, name all his hits and tongue block them, you’re nobody. Well, I can play the intro to Juke from draw two or blow three, with or without octaving blow six, I can tongue-block or purse it at will, but I’ve never stopped to learn the whole piece. The reason for which is two-fold. Firstly, there was a timing issue I just couldn’t unravel, whether or not it was a mistake on Walter’s part. Secondly, for love nor money, I simply couldn’t copy Little Walter’s phrasing, nor did I feel the urge to do so. Oh, and there was another reason. Big Walter. We know that many of you have been waiting for news of the competition result and now that all the formalities have been completed, we can bring you up to date. Thanks for your patience! Thanks also to Bertram Becher at Seydel Söhne for making this special event possible.